When we imagine the Milky Way, we think of a rather flat disc. This is the shape we observe for surrounding galaxies. However, it is difficult to precisely determine the shape of a celestial object becaue we are part of that object. A Chinese-Australian team has created a map of our galaxy that contradicts this image of a flat disk. Distance measurement is a big part of the problem. To try to model the Milky Way, we can try to accurately measure the distance to the sun from a sample of stars. Fortunately, we already know how to do it for a specific type of star. Cepheids are very young stars with variable brightness. By establishing a relation between their periodicity and luminosity, their distance can be estimated. But this method only works for fairly small distances on a cosmic scale. But on the galactic scale, it is quite reliable. By creating a catalog of 1339 Cepheids, the research team realized that the outermost regions of the Milky Way seem to have an undulating form. The further from the galactic center, the more deformations are visible. This observation makes the Milky Way very interesting. The majority of spiral galaxies would indeed be flat, but some of them would have similar deformations. On April 25, the second catalog of ESA’s Gaia Space Observatory was published. Gaia is installed around the L2 Lagrange point of the Earth-sun system. Gaia has listed the position, parallax and motion of more than 1.3 billion stars. Its results continue to lead to many discoveries. An international team of researchers think they have detected a dwarf galaxy located on the outskirts of the Milky Way, with amazing features. The object is called Antlia 2. 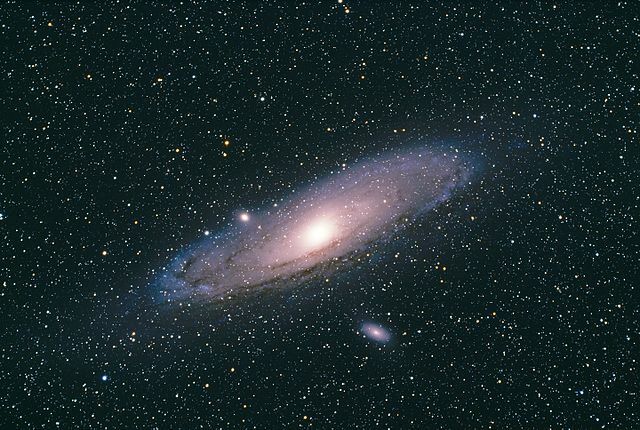 The Milky Way has several dozen satellite galaxies, dwarf galaxies of a few billion solar masses. The most important of these is the Large Magellanic Cloud that has been known to humanity for centuries. Antlia 2 is almost as tall as it is and almost one-third the size of the Milky Way. However, this dwarf galaxy has not been discovered before 2018. Antlia 2 is located just behind the galactic disk, so it is hidden by the hundreds of billions of stars in the Milky Way. It is also incredibly dark, it is even nicknamed the ghost galaxy. Although it is almost the same size as the Large Magellanic Cloud, it is in fact 10,000 times less luminous than it is. The large size and the very low luminosity of the dwarf galaxy are characteristics rather difficult to reconcile. We are still looking for a scenario to explain the current state of Antlia 2. The dwarf galaxy may have lost some of its stars in favor of the Milky Way. The problem is that galaxies that lose stars tend to shrink in size, we can also imagine that in its youth, Antlia 2 was the home of many supernova, who would have blown gas and dust outside the galaxy. But even this hypothesis fails to explain the characteristics of Antlia 2. We know that dark matter plays a proportionally greater gravitational role in dwarf galaxies, it is perhaps on this side that we must investigate. For the moment, Antlia 2 is an exception among the known satellite galaxies of the Milky Way. On the other hand, it may be the first in a series of similar objects to be discovered. 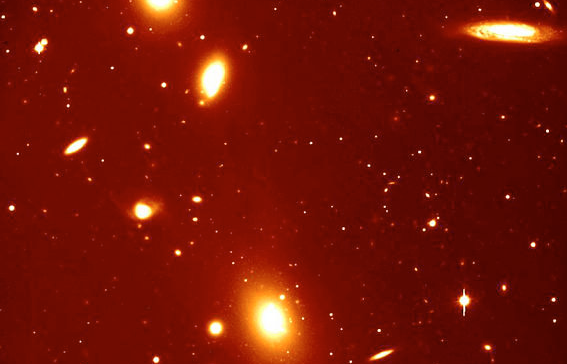 In this case, it may be necessary to review the formation models of dwarf galaxies. Gaia is the ideal tool to make this type of observations. The final catalog of the european observatory is expected to be published in 2022. It will fuel research on stars and galaxies for many years to come. Gaia is an astrometry mission that records the position and other parameters of more than a billion stars. From the data catalog produced by the mission, a team of European researchers think they have reconstructed a small piece of our galactic history. We know that the Milky Way had a tormented past. It swallowed, merged and confronted its gravitational force with the other galaxies around her. Most of these encounters took place a long time ago, as evidenced by the relatively flat and regular shape of the galactic disk. But if you look at the behavior of stars in detail, it’s not as calm as it may seem. The behavior of a group of a few million stars intrigued the team of European astronomers. These stars orbit the galactic center like all others, but they also follow more tormented patterns by spinning around each other. In observing these patterns, the team concluded that these were the consequences of a large gravitational disturbance that would have occurred between 900 and 300 million years ago. Only another galaxy could have had such an impact on so many stars. It is thought that this could be because of the dwarf galaxy Sagittarius, which is one of the many galaxies close to the Milky Way. It follows a polar orbit around our galaxy, about 50 thousand light-years away. It contains a few tens of billions of stars. 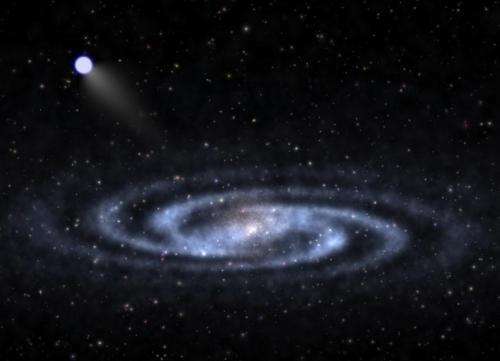 Previous research has already made the hypothesis that this galaxy has already found itself near the Milky Way a few hundred million years ago. Millions of stars on both sides would have been trapped in a gigantic gravitational game. The strange patterns found in Gaia’s data would therefore be the testimony of this distant past. The duel between the Milky Way and the dwarf galaxy of Sagittarius is not over, and the Milky Way is winning. A simulation published this summer even estimates that the small satellite galaxy has only 100 million years to live before being destroyed by the Milky Way. It will join the dozen galaxies already swallowed by the Milky Way.